It affects an estimated 17 million people in the UK. This article aims to explain exactly what high blood pressure is and what causes it. Additionally, this article explores how to reduce high blood pressure, and consequently reduce the risk of having a stroke. Blood pressure measures how forcefully your blood presses against the walls of your arteries as it is pumped around your body. When this pressure remains continually above normal levels this is known as high blood pressure (or hypertension). More than one in four adults in the UK have high blood pressure, although many won’t be aware of it. This condition can affect anyone. Stress, lifestyle choices, genetic predisposition, the combined contraceptive pill, pregnancy, old age, diabetes and atherosclerosis are among many things that can increase blood pressure. Why does high blood pressure increase your risk of stroke? High blood pressure puts all the body’s blood vessels under strain. This includes those leading to the brain. Being under strain makes it more likely a blood vessel in the brain could weaken and bleed or develop a blockage. Both of these could cause a stroke. What are the other health dangers of high blood pressure? However, the good news is if you have high blood pressure, reducing it even a small amount can help lower your risk of these conditions. High blood pressure doesn’t always have noticeable symptoms. The only way to find out if your blood pressure is high is to have it checked. How you can test for it? The only way of confirming whether you have high blood pressure is to have a blood pressure test. This can be done by your GP or by a nurse. All adults over 40 are advised to have their blood pressure checked at least every five years. Furthermore, getting this done is easy and could save your life. Women on the contraceptive pill should have their blood pressure checked every 3-6 months. Where you can have your blood pressure tested? Blood pressure is recorded with two numbers. The systolic pressure is the force your heart pumps blood around your body. This is the higher number. The diastolic pressure is the resistance to the blood flow in the blood vessels when the heart is more relaxed. This is the lower number and is often considered the most important. 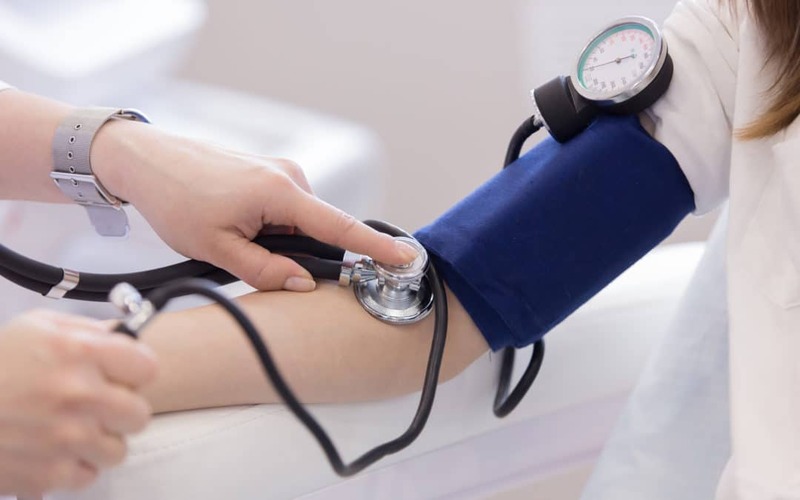 Even a slightly raised blood pressure above 120/80 to 140/90mmHg could be an indicator that your blood pressure is not totally under control and a warning sign to start taking steps to get the blood pressure lowered and more under control. Most importantly, it is possible to reduce your chances of developing high blood pressure, or lowering your blood pressure if it is already high, by making healthy lifestyle changes.